2. 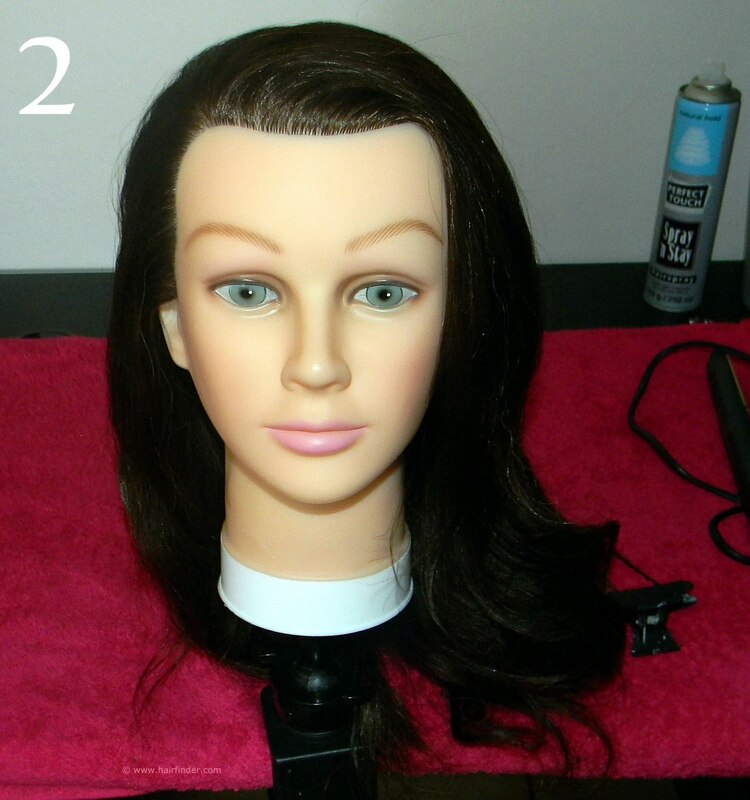 Brush the hair in a backwards direction, away from the face. 3. Separate a section on the top of the head in the parietal and crown region. 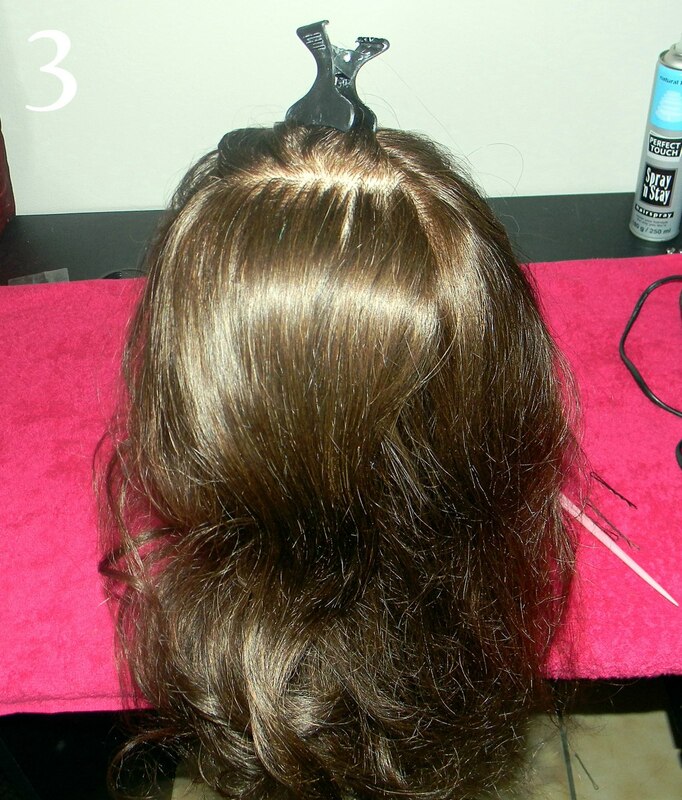 Secure this section with a crocodile clip and brush the rest of the hair downwards to clearly separate your section from the rest of the hair. 4. Use your tease-comb and tease this section. This area will eventually be styled to have exaggerated height, creating a proportional and visually stimulating effect when the style is completed. 5. Comb out the teased hair to such an extent that the majority of the covering layer is relatively smooth and free of tangles. Take care not to over-comb this section, as you will ultimately leave yourself with too little volume to complete the style successfully. 6. 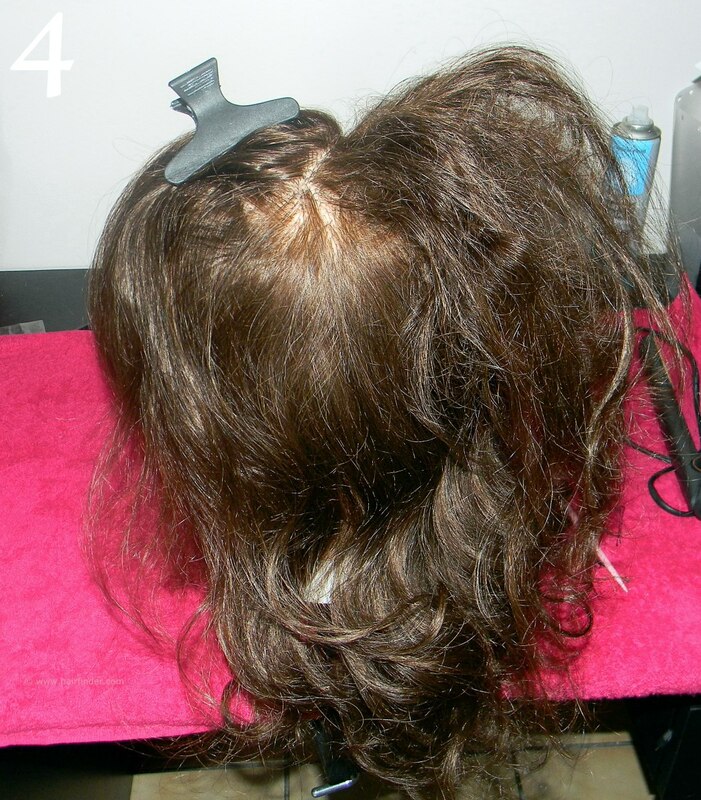 Take a brush and comb all the hair to the left side of the head. 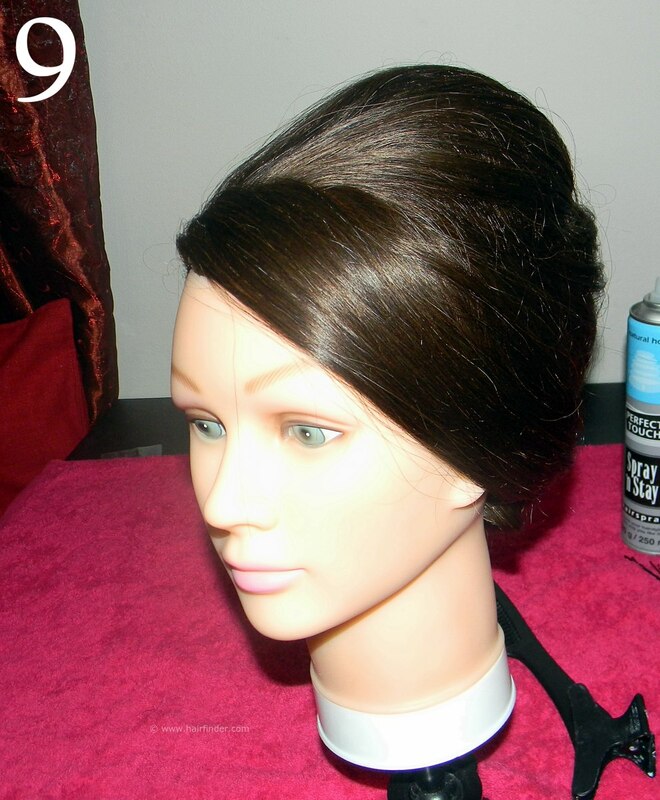 Insert bobby-pins in a criss-cross method, starting from the base of the hairline and working your way up, until you reach the occipital-ridge of the head. By criss-crossing the pins, you create a rectangle-structural base which ultimately strengthens the base of this style. 7. 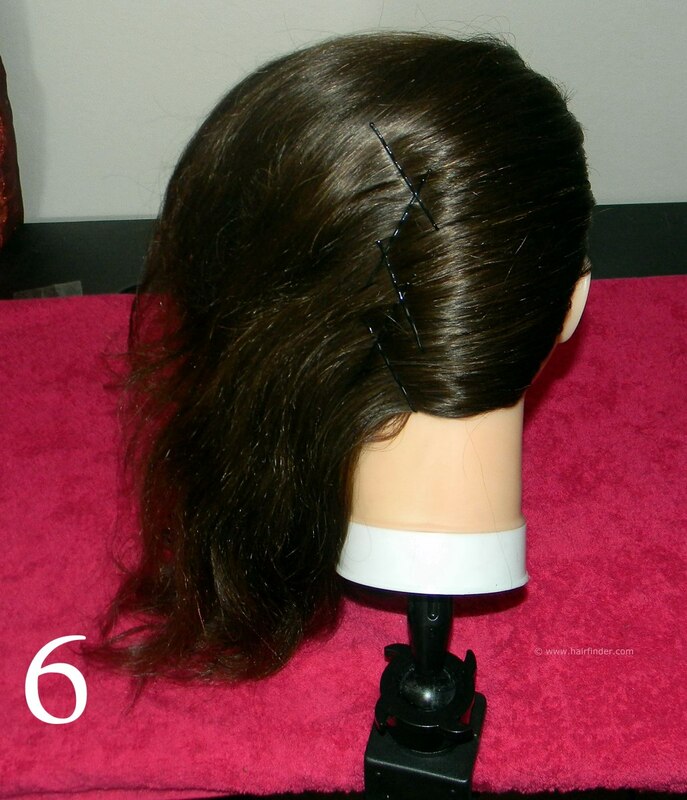 Separate the fringe section at the front and secure it with a clip. 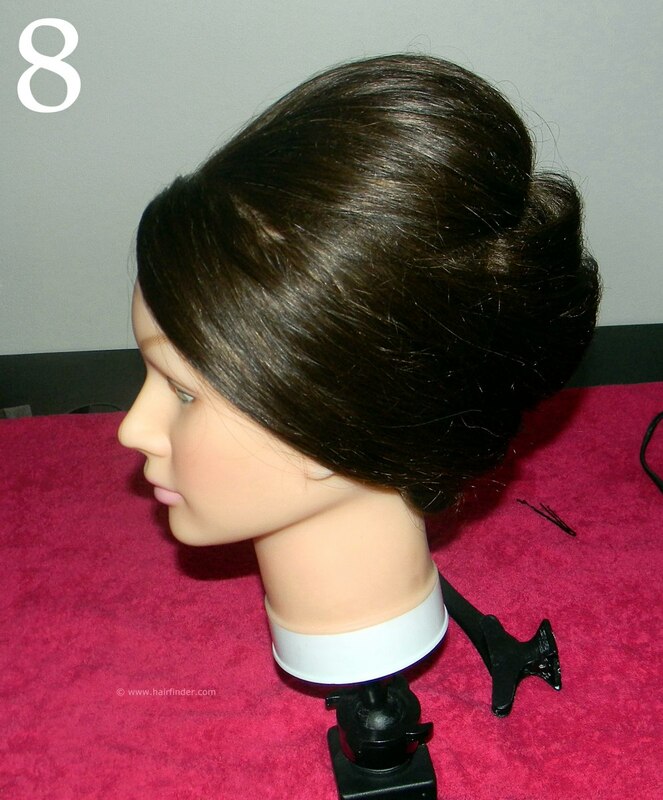 Fold the rest of the hair at the back around your hand, and roll the hair from left to right, to create the chignon. 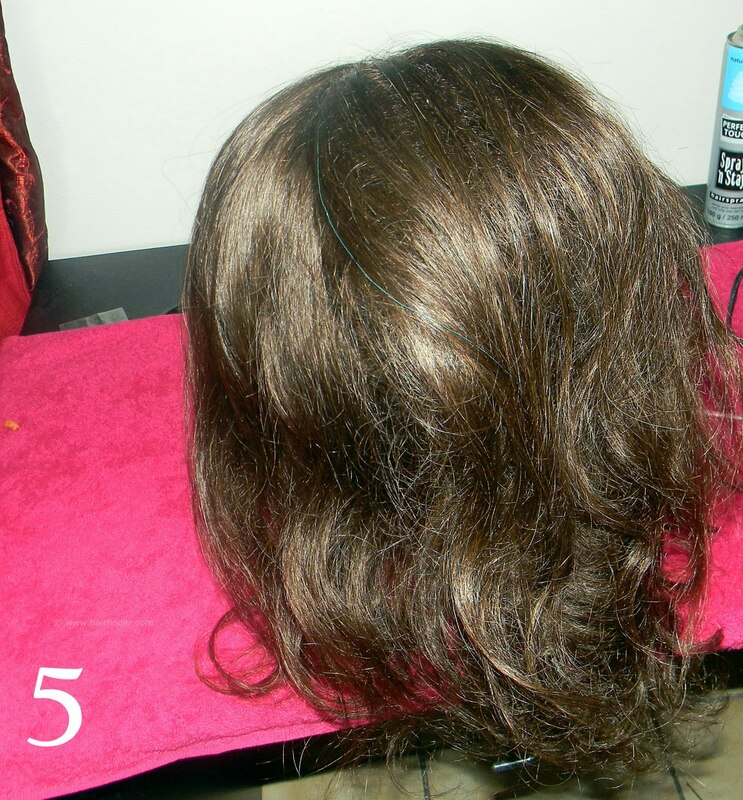 Take care to do this as neat as possible, as it is very difficult to try and neaten this style at a later stage. Keep your hairspray handy, and spray and comb with the back-end of your tease-comb while you roll the chignon, in order to achieve that sleek effect. Secure the chignon with well-disguised bobby-pins. 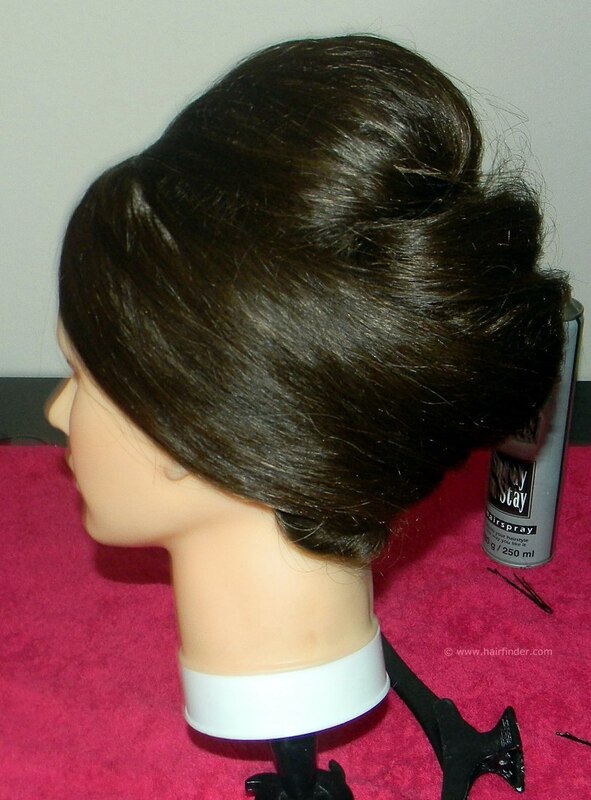 Place the pins in the fold between the chignon and the scalp, securing the roll tightly. 8. 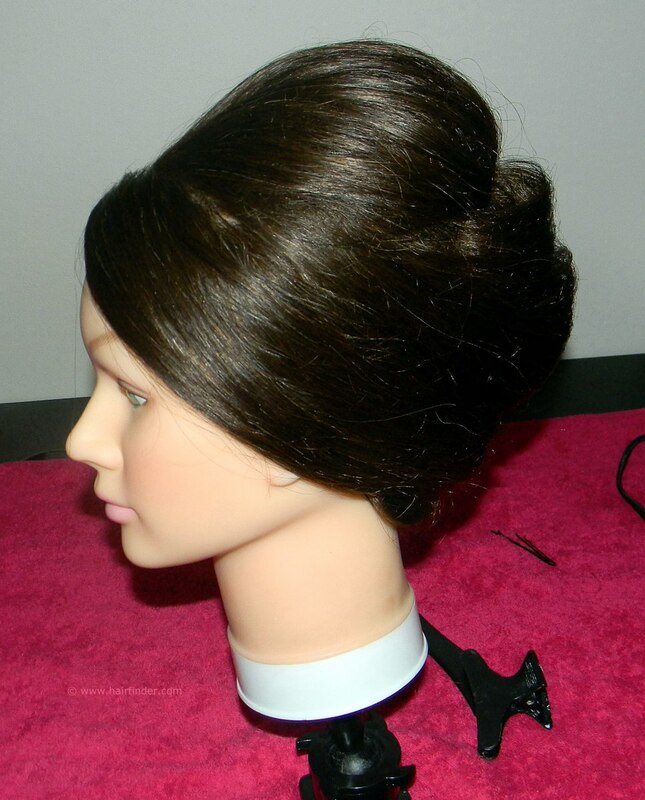 Comb the fringe carefully to the back of the style. Use the back-end of your tease-comb, and carefully spray-and-comb in order to get that sleek effect. Secure the fringe with a well-disguised bobby-pin. Remember that a key-element of this style is that smooth, elegant effect. 9. 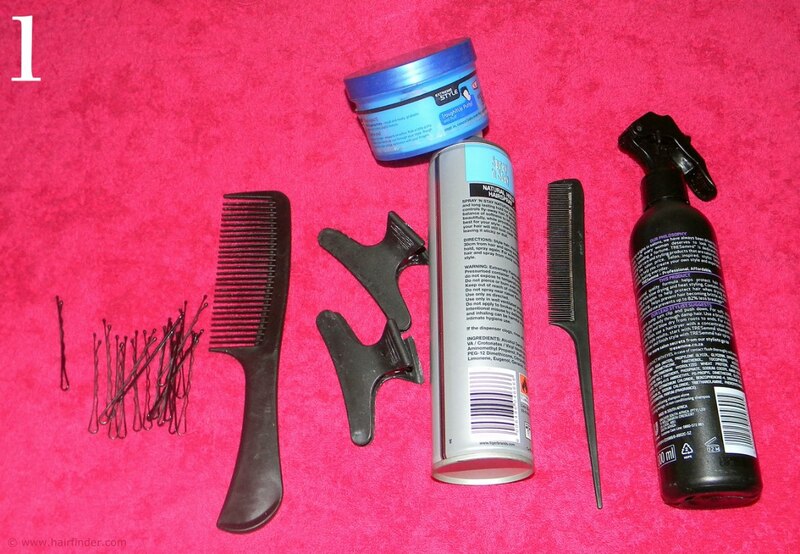 Again use the back end of your tease-comb and neaten/flatten all stray or fly-away hair. Complete this look with a silicone-based gloss spray to achieve that glossy, elegant effect. Note the exaggerated height on top of the head. 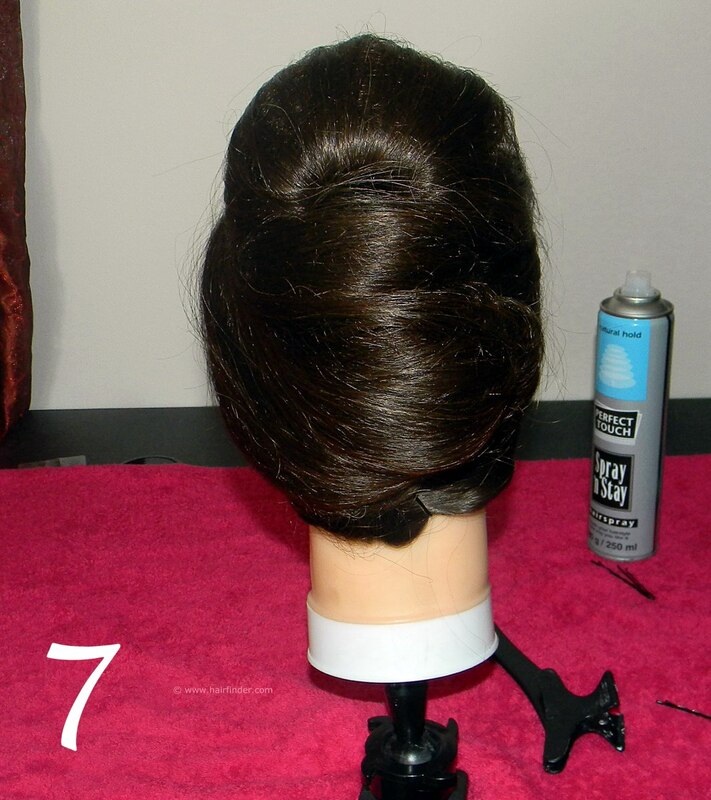 This balances out the weight at the back of the head to create proportional equilibrium, as well as to add an element of height to your model's form.